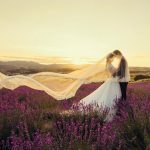 When it comes to Pre-Wedding photography for soon-to-be newlyweds, the location and its picturesque becomes a factor in determining the overall concept. Of course, photography style is important too! 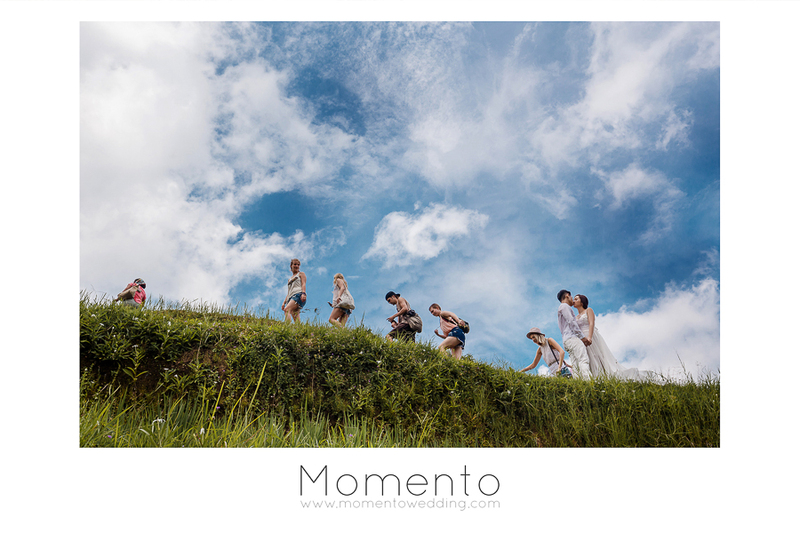 Here at MomentoWedding, we have been launching our Pre-Wedding package since last year and Bali was our chosen destination. 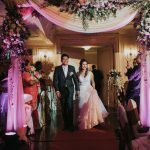 This is our first time heading overseas and with the promotional launch, our Bali Pre-wedding have had a positive response from clients. 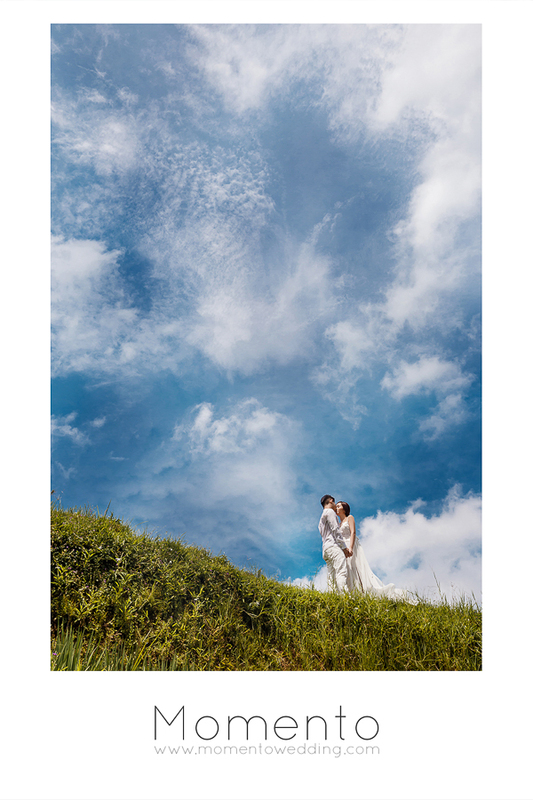 Vanderson and Claire was the first couple that we shot in Bali! 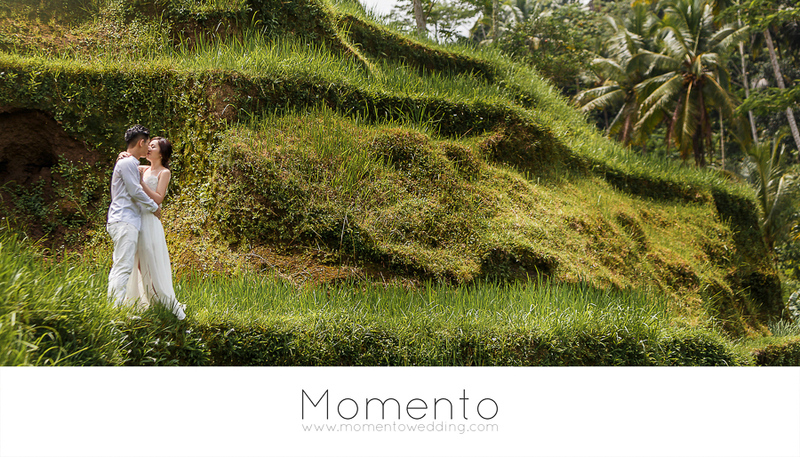 Our first location was the luscious greenery of Ubud paddy field, rice terrace. Donning all white, Vanderson and Claire clearly stood out in their Bali Pre-wedding shots against the natural greens of the beautiful paddyfield. 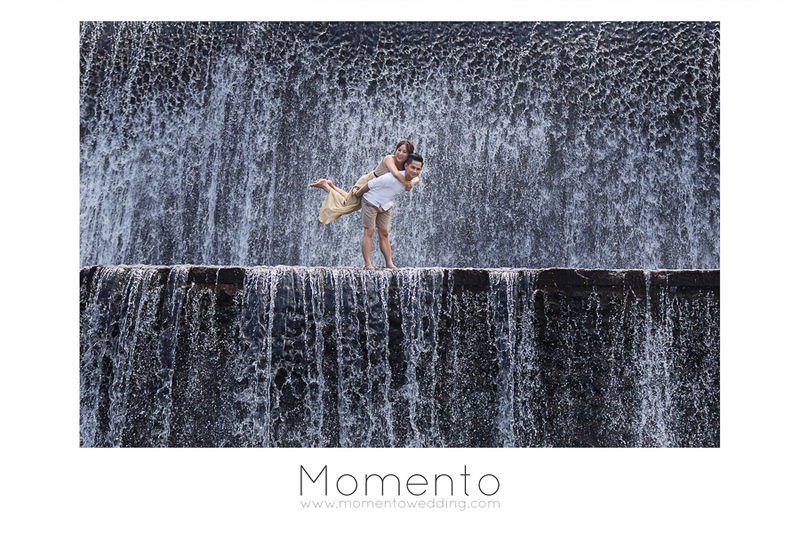 Next up, an interesting and fun wet Bali Pre-wedding experience at the Klungkung dam. Vanderson and Claire were brave enough to brace through the slippery climbing steps in order to get candid shots against the gorgeous flowing fresh waterfall! Klungkung dam may seem like a simple natural setting but it is one of the great hidden spots that photographers like to bring couples to for their Bali Pre-wedding experience. And needless to say, nobody leaves Bali without having their pictures taken at the famous Tanah Lot. Claire looks simply stunning in her Ocean Blue gown! At Tanah Lot, shots were best taken towards the evening whereby we did not miss out the opportunity of capturing Vanderson and Claire while the sun was setting. There were also a couple of night shots to capture a more elegant and demure nature of Vanderson and Claire. We then had some natural and candid moments with the couple at the hotel that they were staying in. 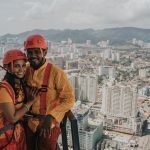 All in all, Vanderson and Claire’s Bali Pre-wedding experience has had the best of both worlds; elegant as well as candid moments to be remembered!